Since the beginning of Shark Tank, technology tycoon Robert Herjavec has been a wealth of both funding and expertise for budding entrepreneurs appearing each week. Having built his own multi-million dollar IT empire from the ground up, and now running fast-growing security software company The Herjavec Group, Robert Herjavec has a lot to offer. His rate of ‘investment per pitch heard’ is on the lower end of the scale when compared to some of the other Sharks, averaging at about 11%. However, when he did invest in them, Herjavec led many entrepreneurs to business success. Designer Anton Willis took his origami inspired kayaks to the Shark Tank in Season 5 and immediately caught the attention of Robert Herjavec. Made from space-age materials, Oru Kayaks are lightweight, foldable kayaks weighing less than 26 pounds. The idea was formed when outdoor enthusiast Willis moved to San Francisco and found that his new apartment was too small for his kayak. The idea was solid, the design was inspired, and the market potential was clear to Herjavec. The technology mogul managed to acquire 25% of the business, up from the originally offered 12%, for a $500,000 investment. Oru Kayaks now sell globally and have expanded their collection to include several different styles of folding kayaks. The company has since established a permanent manufacturing facility and is growing at a rapid rate. They have even since been featured on The Price is Right. Oru Kayaks happily say that now their main challenge, since appearing on the show, has been keeping up with demand. Happy Feet has been around since 1996, a family run business owned by Pat Yates. The company makes super-plush, comfortable slippers in a variety of fun styles including licensed collegiate NCAA, NBA and NFL styles, as well as quirky animal prints. In 2010, Nicole “Snooki” Polizzi wore pink and white Happy Feet slippers on MTV’s Jersey Shore and popularized the brand. So in 2014, when Yates appeared on Shark Tank during Season 5, Happy Feet was a perfect example of a small, but already successful, business which simply needed a cash infusion to enable growth. Robert Herjavec initially said “I’m out!” to the idea, but as the pitch continued he did something unusual and changed his mind. Herjavec offered that much needed cash infusion in the form of a $375,000 investment. For this, he negotiated a 25% share of the company. Since then, the Happy Feet brand has continued to grow and expand and is fast becoming recognizable worldwide. 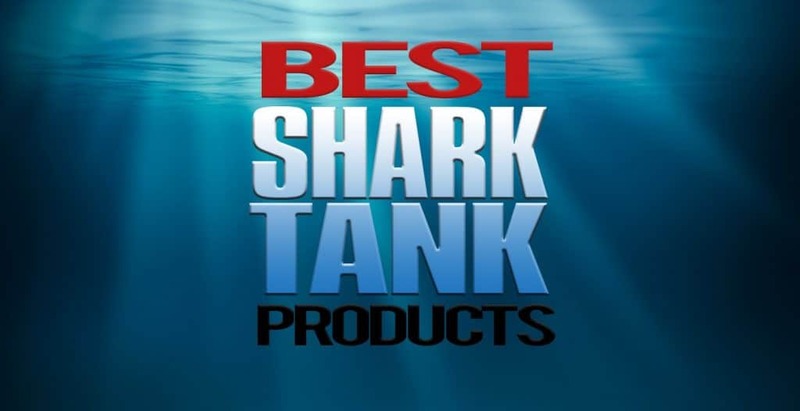 Since Shark Tank, the slippers have had numerous television appearances, including Late Night with Jimmy Fallon, The Late Show with David Letterman , The Tonight Show, Good Morning America and The Today Show. In 2015, they secured a licensing deal with DreamWorks Animation and currently produce a wide range of slippers featuring famous characters from movies like Shrek, Madagascar and Kung Fu Panda. Hamboards grew out of a small family-run business which started in a garage in southern California. Surf-loving Pete Hamborg, his wife Kathy, and their five lifeguard sons, came up with a “street-ready skateboard that captures the essence of surfing”. Hamboards are surf-styled skateboards with a handcrafted surfboard look and feel. Herjavec was immediately interested. He listened enthusiastically to the family’s presentation and leapt at the opportunity to give the Hamboard a try. Wowed by the variety of styles and designs already on offer by Hamboards, Herjavec offered three times more than the requested $100,000 investment. However, he also came away with 30% equity, double what the family offered in their pitch. Hamboards were already selling quite well in advance of appearing on Shark Tank. It was the expertise of a Shark, to help run their business more successfully, that the Hamborg family truly needed. With Herjavec’s investment, Hamboards have now expanded globally and are making over $1 million a year in revenue. Revolights, wheel mounted battery powered LED lights for a bicycle, were pitched to the Sharks by Kent Frankovic in Season 5. The clever idea sees the rear wheel act as a rear light whilst the front wheel of the bike, acting as the headlight, provides illumination with 360-degree visibility. All of the Sharks were initially interested in the invention and Frankovic comprehensively survived in-depth questioning on the sales numbers and projections. But it was the discussion of the technology itself, and the two patents held on it, that swayed Herjavec, who offered a $300,000 investment for 10% of the business. Whilst, Mark Cuban and Daymond John also made offers, Frankovic made the deal with Herjavec saying it was specifically the Sharks’ expertise and marketing he needed, and this is Herjavec’s realm. Revolights now sell internationally and the company continues to grow successfully each year. Designed as an environmentally-friendly peat moss alternative, PittMoss was pitched to the Sharks by Mont Handley during Season 6. Handley spent 20 years researching, testing and developing his soil substitute, made from 100% renewable sources such as recycled paper. This wonderful creation is ideal grow matter that eliminates the need to use chemical fertilizers, as well as controls the growth of insects, molds and weed seeds. During the pitch, it emerged that PittMoss had yet to make any revenue from sales. Handley assured the Sharks that he just needed the investment capital to fulfill advanced orders in his newly completed manufacturing facility. This was off-putting to many of the Sharks, but Robert Herjavec saw the potential and wanted in on this excellent product. Herjavec encouraged fellow Sharks Mark Cuban and Kevin O’Leary to join him in the deal. Together they offered a sizeable $600,000 investment in return for a 35% equity stake in the business, up from the 25% Handley originally offered. With the Shark’s investment, PittMoss went from producing 1 ton per day to 1 ton per hour. They have also successfully shifted their business model from selling to growers and nurseries to selling online directly to consumers. A special mention must go to SynDaver Labs. The product appeared on Shark Tank in Season 6 and became one of the largest investment deals Herjavec made on the show. A product designed for use in medical training, creator Christopher Sakezles pitched SynDaver Labs to the Sharks in Season 6. Asking for a $3 million investment for a 10% equity stake, Sakezles, who has a doctorate in polymer science, wowed the Sharks with his realistic looking synthetic body parts which would replace using cadavers in medical training. Herjavec made a deal with Sakezles, investing the full $3 million for a 25% stake in the company. However, after the episode aired, the deal fell through when Sakezles learned that the investment would require him to step down as CEO of SynDaver Labs. Even without the Shark investment, they continue to operate successfully today and SynDaver products are even available for sale on Amazon.